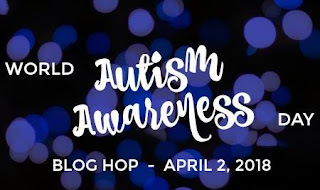 Hello and Welcome to World Autism Awareness Day Blog Hop! This is the first time I've participated in this hop and I'm super excited. I've read quite a bit about Autism in the last few days while preparing for this hop. I found out that the color for Autism is Blue and that there are many cities and buildings participating in the Light It Up Blue for Autism. I knew that I didn't have any puzzle piece or light bulb stamp sets or punches..... both are symbols of Autism. That being said, I definitely have lots of Blue Cardstocks and inks so I lit my card up blue! For my card I used two the Stampin' Up! stamp sets "You've Got This" for the sentiment and "Hold On To Hope" and coordinating "Cross Of Hope" framelits for the images. The Paper is from the "Bundle of Love Specialty Designer Series Paper". The Cardstock Used is Night of Navy and Soft Sky. The Ribbon is the "Gold 3/8" Metallic Edge Ribbon". I also used the Stitched Shapes Framelits Dies. The sequins are from Mermaid Shaker Mix Little Things from Lucy's Cards. If you'd like to donate to Autism Research click here. 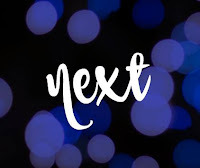 Click the Next button to continue to the hop! Love this card so much, so many details. Love the delicate frame of images you've created for your sentiment, Tina. So pretty - what great hop.